Ite ad Thomam Institute: Quaeritur: Who are the Post-Conciliar Traditional Catholic Thomists? Funny, yet so sad and so true! The Oath Against Modernism Betrayed. Quaeritur: Who are the Post-Conciliar Traditional Catholic Thomists? Quaeritur: Who brings a reliable scholastic tradition, into our modern times? I am trying to find apologies for a scholastic, perennial, and Christian (if you will indulge that, if not, fine, but traditional and reliable is a must) philosophy up into our modern error, all the while defending philosophy against all the errors of modern philosophy, post Vatican 2. Who represents tradition post Vatican 2? In whom does the continuation of tradition reside? Also, what am I to think of Maritain? Respondeo: No post-conciliar philosopher, to my knowledge, has written a thorough critique of post-conciliar philosophical errors--maybe you could be the first! That said, post-conciliar philosophical and theological errors were already present right before the council. There is really "nothing new under the sun." Garrigou-Lagrange wrote plenty to refute those same errors that we are suffering today. See Pius XII's encyclical Humani generis (Garrigou is said to be the drafter or 'ghostwriter'), Garrigou's "Where is the New Theology Leading Us?" and his "Structure of the Encyclical Humani Generis." In addition, his Le sens commun is a superb philosophical examination of false theological views on the nature of dogma, but it is unfortunately untranslated (I hope to translate it someday). Maritain (like Gilson) is good for some things, especially the more speculative, traditional scholastic topics (such as natural philosophy, metaphysics, epistemology), but is not very orthodox when it comes to practical things, such as personalism, religious liberty, ethics, art, political philosophy, cultural though, etc. In these respects he is very much a liberal and a promoter of post-concilar ideas. He also has a strange view of the relationship of the sciences. 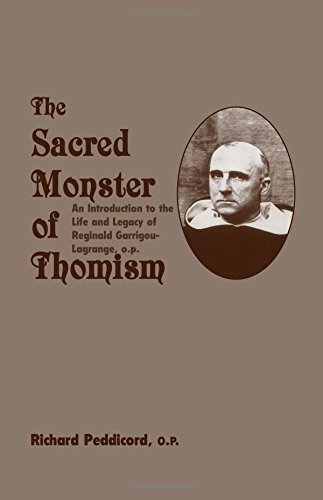 I recommend you read Peddicord's The Sacred Monster of Thomism, on Garrigou-Lagrange. It will give you a sense of who Garrigou was and why it's important that we 'retrieve' his thought in our times (i.e., to rescue tradition) as well as shed light into the thought of Maritain and the new theologians. Reginalde Garrigou-Lagrange, ora pro nobis! "[Maritain] is not very orthodox when it comes to practical things, such as personalism, religious liberty, ethics, art, political philosophy, cultural though, etc." If you have a moment, I would be very interested in hearing what you have to say about Maritain's views on art. I hear his political views criticised fairly regularly, but I don't recall having heard anything one way or another about his approach to art. You are forgetting Fr. Jules (or Julio) Meinvielle. I am only a late-comer to Catholicism who,through the influence of writers who were influenced by St. Thomas, was himself drawn into the Faith. Having lately read Fr. Peddicord and also Fr. Aidan Nichol's "Reason with Piety, Garrigou-LaGrange in the Service of Catholic Thought," I profited from both books. 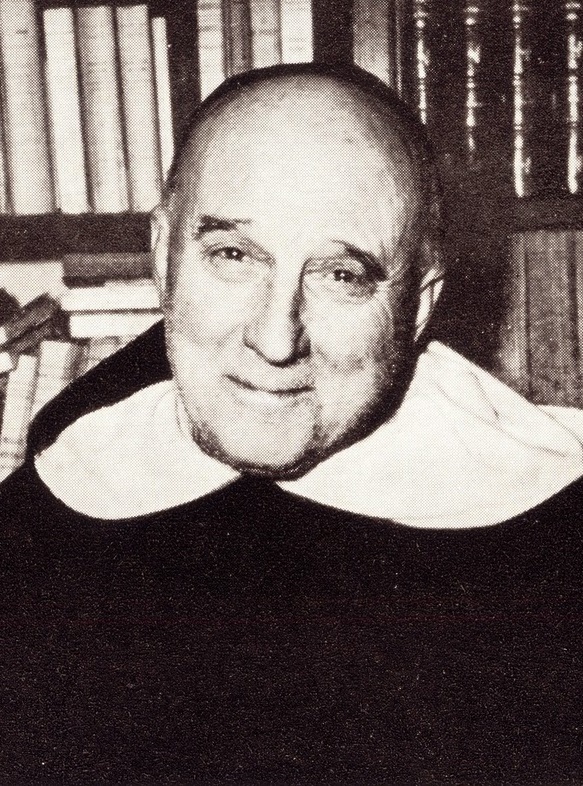 Although I am certainly no judge of their quality, the wonderful thing for me is that two contemporary Dominican theologians are revisiting Garrigou-LaGrange, and pointing to the value of his writing and thought, in this post-Vatican II waste-land. In my opinion, Edward Feser is a very good and traditional-minded contemporary thomist philosopher. What about Fr. Benedict Ashley, O.P.? I would also appreciate a bit more clarification as to why Maritain is said to have "a srange view of the relationship of the sciences." I have found his work in Philosophy of Nature (PON) quite helpful specifically because of the way in which he locates the ontological and epistemic roots of modern physics / mathematics / biology etc. within an Aristotelian PON. Doing so, seems to point up the conceptual blinders which cause modern scientists to think that their observational-metric-schematic methodology has somehow invalidated the insights of an ontologically grounded PON (form-matter / potency-act, etc.) I would be grateful for any corrective insight along these lines. Maritain considers 'modern science' to be a distinct science from philosophy of nature. This is not the thought of St. Thomas. In St. Thomas 'natural science' is both empirical (inductive) and rational (deductive), such that it at once includes both what we nowadays call 'modern science' and what has been called 'philosophy of nature'. Modern science, then, is really an incomplete (exclusively inductive) form of natural science. That's my (not Maritain's) claim. Modern science prides itself in being empirical, i.e., inductive. I do not say Maritain 'had no clue' what modern science is. But I do not agree with him that it is a distinct science from natural philosophy. I appreciate your comment. Yet, to show that modern science has not nullified traditional philosophy of nature, one need not claim that they are separate sciences. Rather, one can recognize--and this is my view, which I believe is firmly grounded in the Posterior Analytics--that modern science is simply natural philosophy done in an excessively inductive vein, to the exclusion of any deductive reasoning that results in non-empirical conclusions (e.g., God, the soul, substantial forms, etc.). As such, natural science is simply incomplete natural philosophy. It does not nullify the traditional non-empirical conclusions because it has not allowed itself to say anything of such things. "By its very nature motion is not in the category of quantity, but it partakes somewhat of the nature of quantity from another source, namely, according as the division of motion derives from either the division of space or the division of the thing subject to motion. So it does not belong to the mathematician to treat of motion, although mathematical principles can be applied to motion. Therefore, inasmuch as the principles of quantity are applied to motion, the natural scientist treats of the division and continuity of motion, as is clear in the Physics. And the measurements of motions are studied in the intermediate sciences between mathematics and natural science: for instance, in the science of the moved sphere and in astronomy. "Simple bodies and their properties remain in composite bodies although in a different way, as the proper qualities of the elements and their proper movements are found in a mixed body. What is proper to composite bodies, however, is not found in simple bodies. And so it is that the more abstract and simple the objects of a science are, the more applicable its principles are to the other sciences. Thus the principles of mathematics are applicable to natural things, but not visa versa, because physics presupposes mathematics; but the converse is not true, as is clear in the De Caelo et Mundo. So there are three levels of sciences concerning natural and mathematical entities. Some are purely natural and treat of the properties of natural things as such, like physics, agriculture, and the like. Others are purely mathematical and treat of quantities absolutely, as geometry considers magnitude and arithmetic numbers. Still others are intermediate, and these apply mathematical principles to natural things; for instance, music, astronomy, and the like. These sciences, however, have a closer affinity to mathematics, because in their thinking that which is physical is, as it were, material, whereas that which is mathematical is, as it were, formal. For example, music considers sounds, not inasmuch as they are sounds, but inasmuch as they are proportionable according to numbers; and the same holds in other sciences. Thus they demonstrate their conclusions concerning natural things, but by means of mathematics. Therefore nothing prevents their being concerned with sensible matter insofar as they have something in common with natural science, but insofar as they have something in common with mathematics they are abstract." Has anyone here read Card. Siri's 1981 Gethsemane: reflections on the contemporary theological movement? Also, I discovered the 2010 Nouvelle Théologie - New Theology Inheritor of Modernism, Precursor of Vatican II by Jürgen Mettepenningen. Has anyone read here read that? It seems good. @anonymous: Thanks for the books by Fr. Cornelio Fabro of the Lateran University. He wrote Vatican II Preparatory Commission's documents on St. Thomas and his authority: De sacrorum alumnis formandis and at least the chapter "Maintaining the Doctrine of St. Thomas" of De obsequio erga Ecclesiae magisterium in tradendis disciplinis sacris (source). • There cannot be two sciences in the first degree of abstraction. • Sciences are never specifically different based upon how general (philosophy of nature) or concrete (modern physics) they are; sciences are specified by their formal object. • Philosophy of nature ≠ metaphysics; Maritain disregards the proemia of St. Thomas's natural philosophy works in which he urges natural philosophers—and thus modern scientists, too—to strive toward concretion.